I think I wrote this in about 1998 when I was first setting up a website. How sad! 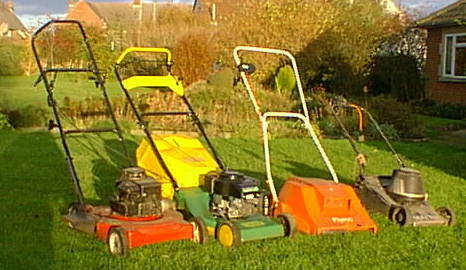 I do quite like mowers, although these days I only have a boring grass cutter which is quite devoid of character. In Spring and early Summer I see a lot of this. I have about half an acre to cut. I knew a lad, recently, who was interested in these devices so I did a line-up of my collection to show him. My interest in mowers was recognised by my sister. She bought me my best mower. He’s a gorgeous little model. I quite like the big mowers too. How convenient that this should appear just outside my garden, whilst I was putting this page together. Now I’m the first to admit that collecting train numbers is entirely pointless. But I go on to say that it isn’t any more pointless than kicking a leather airbag around a field or collecting used postage stamps. Hobbies are hobbies and do not need any other purpose. But train spotters get a bad name and are deemed odd. Let’s say that when I took up the hobby, back in 1959, it wasn’t odd or unusual although it was almost exclusively male. Platform ends up and down the country had gaggles of boys, avidly noting the numbers written on trains. It may seem pointless, but knowledge and skills were being honed all the time. Let’s take a typical day out train spotting for me. I lived in Crawley, thirty miles south of central London. As an under 14 year old I could buy what was called a shopping ticket to London which cost me half a crown (12½p). So a day would start by walking to my local station and purchasing a ticket. It wasn’t valid before 9.30 so I’d have caught the first train after that. I’d have hoped for an empty compartment, but I definitely wanted a seat on the right hand side facing forwards. This gave me the best chance to spot any unusual steamers on Three Bridges or Redhill shed but as these were fairly local, the chances would be that I’d see only old familiars. Memory needed to be good for you didn’t want to spend time recording numbers of engines you’d already seen. On arrival at Victoria I’d have bought an underground ticket and taken the circle line round to Paddington and then gone one stop on the Metropolitan to a station called Royal Oak. This was out in the open and within sight of the ends of the main line platforms at Paddington. It had the advantage of a steam engine servicing depot just opposite the platforms and an easy view of all trains going in and out of Paddington. I was never alone there. Here were always other youngsters to chat to. If I felt inclined, I might take the underground again and get to Stratford in East London. This was a station where the underground reached the surface and shared the station with the main line trains out of Liverpool Street. Sometimes I might alight at Kings Cross where I could visit the three main line termini of Kings Cross, St Pancras and Euston which were all within walking distance. The hazard here was that I had to hold a valid ticket since this meant leaving the underground network. Euston and St Pancras I found very dull. The stations may have been magnificent and they had an air of expectation about them. But that expectation never seemed to be fulfilled. Trains were so few and far between. Kings Cross seemed much more lively. As one got a bit bolder further London adventures could take place. There were sheds to ‘bunk’. Bunking a shed was to visit it without permission. So sometimes I’d get to Willesden Junction station from where I could take in Willesden shed where I could cop a load of ex LMSR engines and then I could walk to Old Oak Common and see the GWR engines. Old Oak Common was ‘easy’. You bribed the gate man by purchasing a staff magazine which cost 3d. Willesden was more of a nightmare but worth the risk of a telling off from a shed foreman to see the range of engines there. I remember I went to Plaistow shed once – on the old London Tilbury and Southend network, especially to see a loco now preserved and called Thundersley. Despite what people might think, train spotting was a social activity. I had friends who were also spotters and we went to places together and then you met people who had the same interest. There was always company, chatter and general excitement. Most of us stuck fairly well to the rules and certainly we were all big supporters of the railways and truly wished them well at a time when the whole network seemed under threat. I’m glad I was a spotter. I learned so much from doing it. My geography and history really improved because I could see the reasons for things. 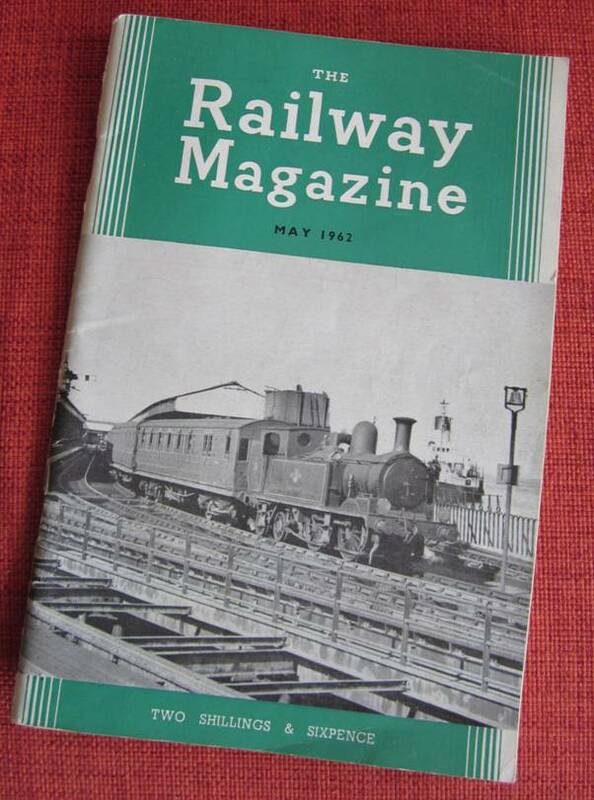 I became a regular reader of the Railway Magazine which did much for world geography, economics, engineering etc. This May 1962 issue – when I still travelled legally for half fare, has a wonderful Isle of Wight train on the cover. The loco was over 60 by then and carriages were not far short of that, certainly in style. I still buy a copy from time to time. My dad had books for all occasions – a trait I have inherited. I do find real books a very useful adjunct alongside the internet. When I was young a favourite pair of books of mine were the matching bird and flower books. When some of the spoils were shared, I had the bird book and my sister had the flower book and it is that one, which has now come my way, that I look at today. The book is called ‘Flowers of the Field’. It isn’t dated but this is by no means a first edition. I believe it dates from the 1920s, some 50 years after the death of the author. The illustrations are, of course, lovely. Here we have a page of poppies. 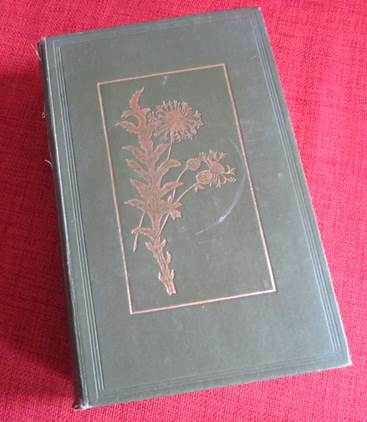 But what makes this book special are the pressed flowers found in tissue paper in between some pages. I believe they were pressed in the 1950s. Sadly, I have no idea what the plants are. I believe they were pressed by my sister so I see these flowers as very much a memory of her. Quite some time ago I commented that somewhere in my loft I had a bit of an old gramophone. Just recently, I have found it and pondered on making it a bit of a project. Let’s start by listing what is missing. There is no sound box. It needs some felt or baize on the turntable. A length of beading is broken off and missing. There is some kind of bush missing where the winding handle passes through the case. It all looks very tired and in general need of some TLC. If any experts out there want to tell me the elbow is missing as well – it isn’t. It just wasn’t in place on that photo. Against that must be set the fact that it has a powerful motor which seems to be in good order. The speed control works and the primitive brake stops it. It is an elegantly decorated gramophone. 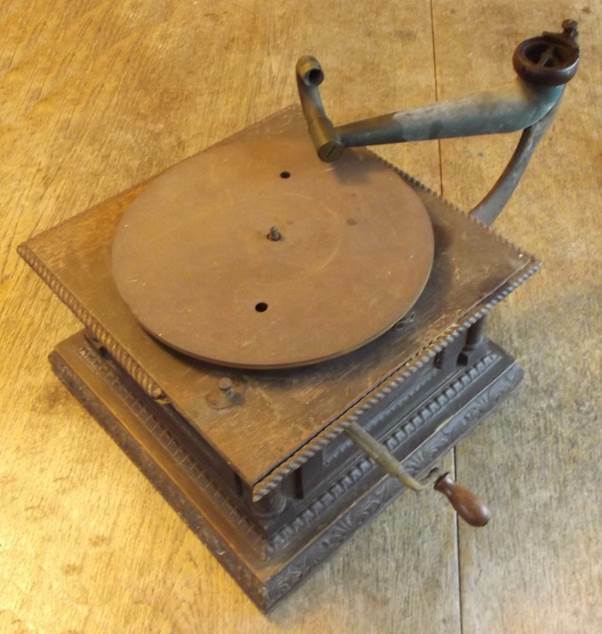 This model of gramophone is known as a Junior Monarch. It was made by the Gramophone and Typewriter Company as shown on its maker’s label. This label dates it to pre-1907 so this gramophone is more than 100 years old. 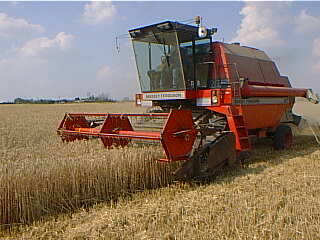 I can buy the two major missing parts for about £70 and I would then have a machine in good working order. I hope some wax and polish can improve the look of the wood. A little bit of light oil rubbed on the metal parts will improve their appearance. For me, the difficult part is that beading. And, with borrowed parts you can see and hear this gramophone in action by clicking here. The record chosen, to match age and make of gramophone is this one. Now surely it is worth getting that gramophone up and running on a permanent basis. Newtown is one of the seven wonders of the Isle of Wight as sometimes featured on postcards. These wonders are those where the name can be interpreted to be the opposite of what they seem to say. Newtown is neither new nor a town although it was once. 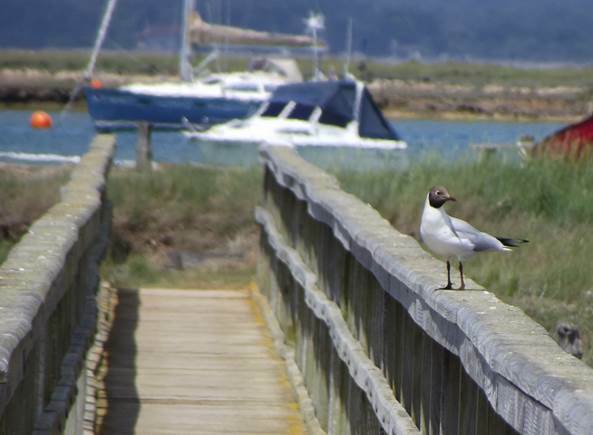 When you’ve had enough of the hurly burly holiday crowds down the east coast of the Isle of Wight, Newtown offers peace, tranquillity and a goodly chance of either solitude or maybe an interesting birder or two. I’ve featured Newtown before on this blog. Indeed I have featured this photo of the wooden walk. This was ten years ago and to walk out to ‘the hut’ you had to negotiate this. It was rickety and just a tad scary and if, perchance, somebody came the other way then it was a very tight squeeze to pass. 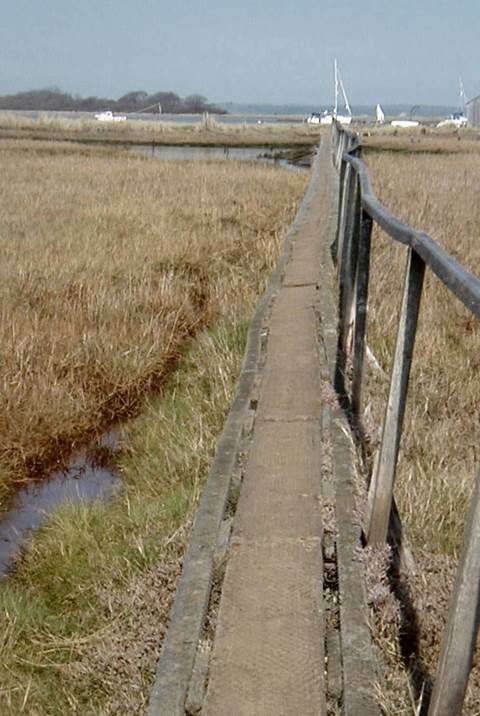 Wheelchairs certainly couldn’t cross the wooden walk. So the peace and beauty at the far end was out of bounds for such users. But after storm damage, the whole wooden walk was replaced. The new structure maybe lacks the rustic charm of the old one. It is solid and feels dependable. It is wide enough and smooth enough for a wheelchair to traverse it. I worried that it might increase the number of people seeking the strange little ‘middle of nowhere’ spot on the Newtown River estuary. That doesn’t seem to have happened, probably because once you leave the small car park there really are no facilities. The car park offers loos and close proximity to the old Town Hall. This is a National Trust property and worth a visit but check opening times. It doesn’t open in winter months and doesn’t ever open every day. But once you set out on the walk (little more than a kilometre) you are on your own. Anything you think you might need you have to carry with you. And here’s the present day wooden walk which even has a passing place near that little pond to the left of the walk. I have seen a wheelchair user cross it. Good for that person. It’s a great walk for seeing birds. Black headed gulls are common. There are always egrets about. There are wading birds of many kinds. Here’s an oyster catcher. He’s been poking that probing, orange bill in the mud! No wonder I am regularly drawn to this spot. On a recent holiday – a few days in the Isle of Wight with son, daughter in law and granddaughter – some of us were filling in I Spy on the Isle of Wight. It wasn’t granddaughter for she isn’t yet 2. 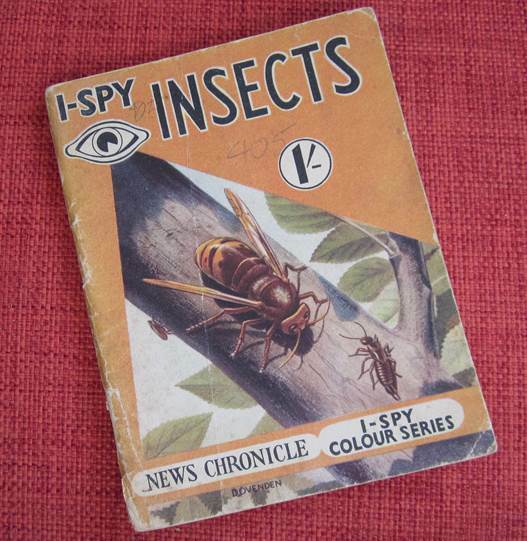 But it reminded me of my childhood and the fondness for I Spy books, then produced by the News Chronicle. Now I was a third child and older sister and brother already had quite a collection. My parents wouldn’t let me get any the same as the family already had so I developed a quick interest in insects and purchased one of the more expensive books with some colour pictures. And, of course, I still have it. As we see, it cost a shilling which was twice the price of the black and white only books. Here’s a page I had filled in. I saw my stag beetle on 26th August 1956 at Beddingham which I couldn’t spell properly at the time. Back then, nearly 60 years ago, I thought they were quite common. I’d reckon that if I was asked to find one I’d come up trumps quite quickly. But the fact that they scored 35 points meant they weren’t that common. Another page, and one of the colour ones, had an insect I never saw back then. A hornet was worth 40 points, so deemed that bit rarer than the stag beetle. These days they seem much more common. Not long ago I had difficulty getting one out of my living room and I seem to come across them quite regularly. It is good to know that old I Spy habits last. I always thought they were fun and they did encourage me to keep my eye open. They still work just the same. 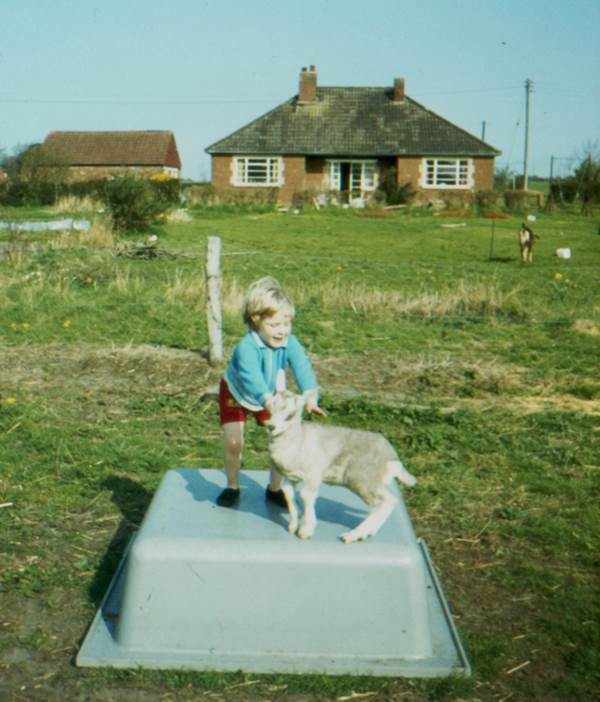 We’ve seen my sheep on this blog but I have also been a goat keeper. In those heady days of the 1980s when self-sufficiency was all the rage, we kept goats to provide us with milk. Being mammals, this meant they had to have kids. We were able to borrow Billy goats to do the necessary and so goat kids became a part of the scene and they became playmates for our kids – our children. And here we see daughter and a goat kid in about 1984. That’s our house in the background and that’s a reminder of times past. We had those appalling metal framed windows which never shut tight and allowed the wind to whistle through the house. We had chimneys at both ends of the house. The one on the right side went when we put rooms in the roof. We still have one fireplace in operation. Mother goat, with her rear end to us, is tethered on the lawn. One really shouldn’t do this since goats do not graze. They are browsers and seek to consume things like leaves from trees and shrubs. They are also, really, creatures of bleaker land rather than lush lawns and the kid has been given a fibre glass mountain to play on. And what of the milk? Well guess what the quality really did depend on what the goat ate. If it had good food we got good milk. If it only had grass we tended to get goaty flavoured milk. Of course, animals in milk are a tie. I had to be up early to milk the goat before heading off to work. And I had to milk her again in the evening. My wife sometimes made soft cheese from the milk. The best I’ll say was that it was OK. I certainly enjoyed goat keeping at the time but I wouldn’t want to do it now. It was back in 2012 that I wrote a blog post called ‘Sweet Naomi’ Naomi was my great aunt, not that I ever knew her. She was, apparently, regarded by one and all as a very sweet young lady. This is the photo I have of her. 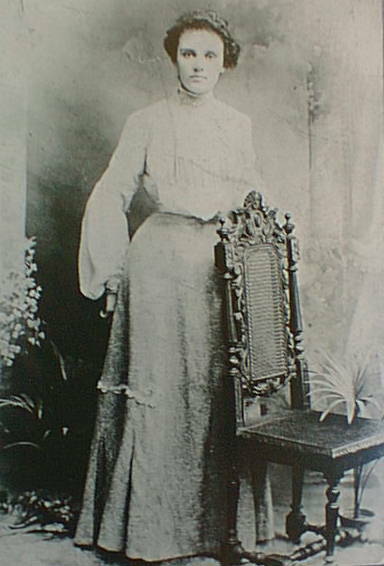 Naomi was born in 1879, grew to adulthood and then contracted TB. After a long illness she finally succumbed in 1911. Perhaps because of her illness, she received a goodly quantity of postcards and they were kept. This is one from her brother, Jim. We can see here that backin 1906 this was the equivalent of the text message of today. We can also see that brother Jim has used the affectionate name of ‘Omy’ for his sister. He posted the card in Uckfield in Sussex and it was franked at 9.30pm on June or July 30th 1906. And that was deemed soon enough for Jim to tell his sister he’d call and see her the next day. 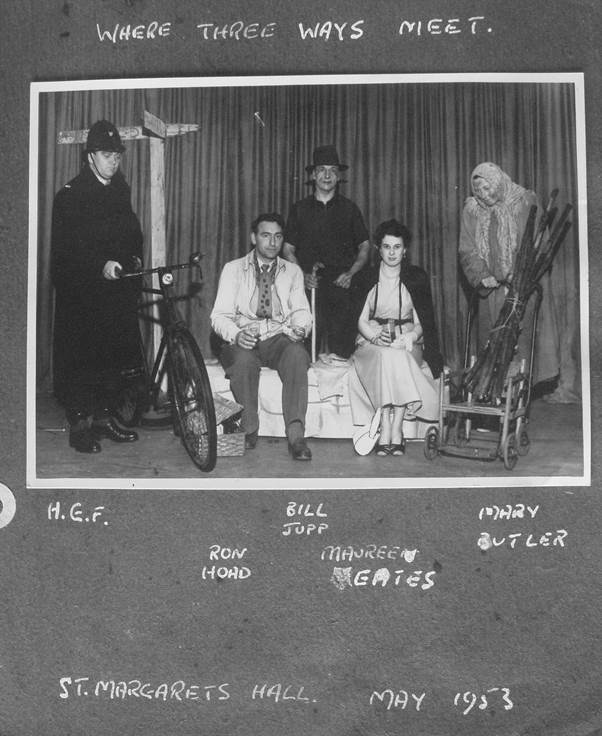 Jim, by the way, became a policeman in Brighton where he lived until 1958. 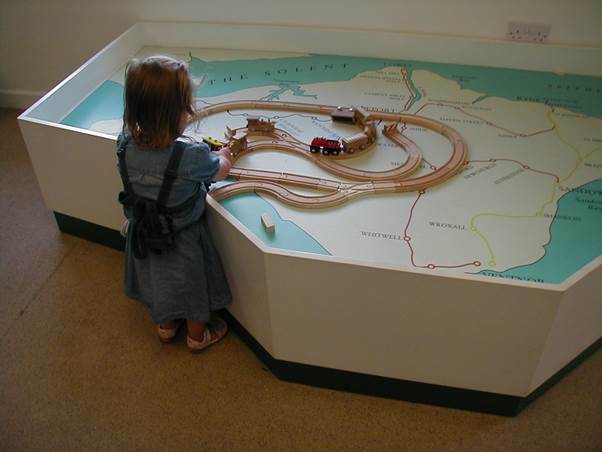 Train Story is the name of a new display area at Havenstreet – headquarters of the Isle of Wight Steam Railway. But keep reading for this post is not really about trains but more about games and toys. We paid a visit having travelled on the line, enjoyed a picnic and taken in the fun of the fair at a charity event being held that day. It was fun for all the family. Granddaughter enjoyed playing with a wooden toy train layout, set out on a map of the island. 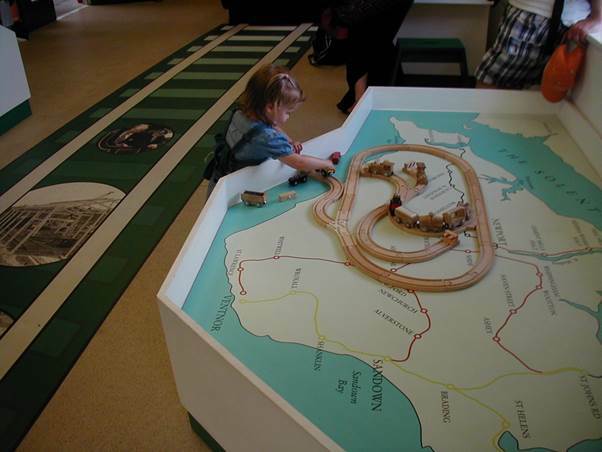 The map shows the real railways that once existed on the island but granddaughter seems to be dealing with a problem on a never built Brighstone Bay branch, reaching right out to sea. Hey! She was just having fun. And so, too, were her mother and grandfather. They were playing giant top trumps at a special table. It has to be said that the cards were all Isle of Wight locomotives some of which are shown on that background display. It was, of course, good fun for two avid games players. We called it an honourable draw. Just in case you are a rail nerd and don’t like this kind of frippery, you can hurry through this bit, and miss the cab mock up where youngsters (of all ages) can pull the chain to sound the whistle and you can enjoy the trains on display, relaxing in first class comfort or enduring the hardship of third class. It’s well worth the visit and well done to the railway for making such a good, child friendly display which has much to offer to the rail enthusiast as well.